Bring balance to carrying your yoga accessories. YOPA's back pack design makes it a perfect for the country, suburban or urban Yogi. It makes carrying your gear easy and hands free; walking, riding your bike or on mass transit. 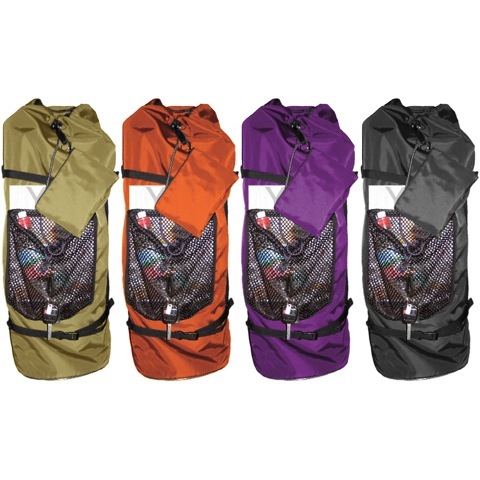 The light weight, durable, water-resistant construction keeps your gear dry carrying it in the rain. The adjustable back pack straps keep the weight balanced on your back. Adjustable draw strings secure contents in the bag and mesh pockets. The interior lid covers the contents and keeps them dry, or leave it open to air contents out, after your practice. Keep your valuables with you in the removable zippered pouch when you park your bag at the studio, gym or on the beach. Hook your keys on one of the key clips or rings attached to the draw strings. 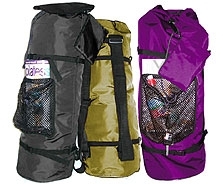 The adjustable wrap straps add extra exterior carrying capacity. Yoga instructors love the room YOPA offers for multiple mats and other paraphernalia they need for classes. 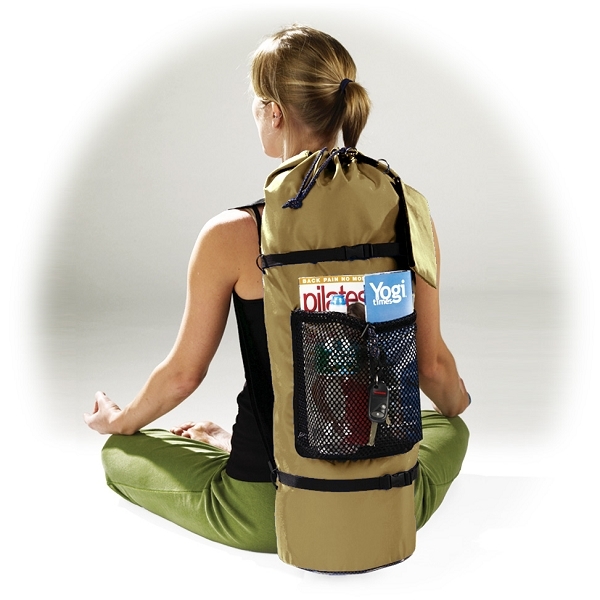 An airline carry on, YOPA is great for weekend Yoga retreats or getaways. It's a practical, cross over sport utility bag (Pilates, snorkel gear, snowshoes etc.). Use your imagination and use your YOPA bag for any active lifestyle, camping, or sport you can think of when a standard back pack doesn't give you the length you need to carry and cover your gear.